Unfortunately Islamaphobia is a very real thing. 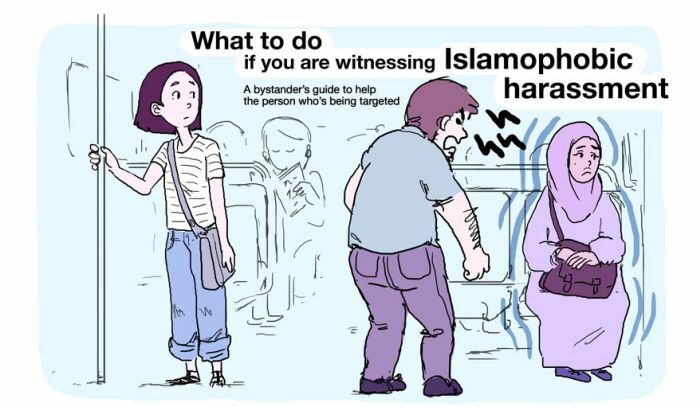 But luckily a Paris-based illustrator who goes by the name of Maeril has created an illustration that shows how you can help someone in need if they're being harassed. The solution is simple: just use that f*cking towel to mop the floor, and show your face.